Summary: Take part in the initiative. Know more about BioPak's revolutionary movement to help save the Earth. Australia sends more than 8 million tonnes of organic waste to landfills every year, and 1.5 million tonnes of it is FOOD WASTE. The problem with FOOD WASTE is, as it decomposes in landfills, it releases large quantities of METHANE: a particular greenhouse gas that's 80 times more potent than carbon dioxide --resulting enormous damage to Earth. 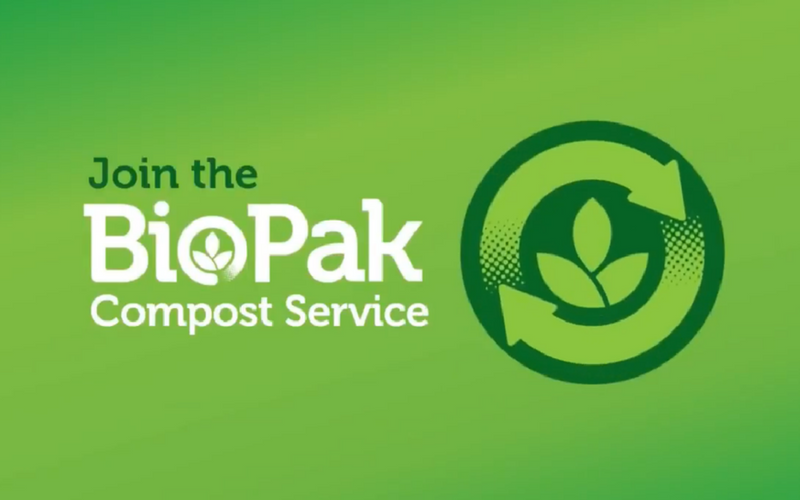 BioPak unveiled Australia's 1st comprehensive composting service for food service packaging. This is a move designed to divert food scraps and food service packaging from landfill. This Compost Revolution will allow customers to dispose of used coffee cups and compostable takeaway food packaging in specially designed collection bins at local cafes and workplaces, which will be collected weekly and sent to commercial facilities to be composted. And in only eight (8) weeks, these will be turned into nutritious soil compost for gardens or farms. This Compost Revolution ensures and maximises the environmental benefis of compostable, single-use disposable packaging as it helps customers in reducing environmental impact of businesses. Pak-Rite has been a pioneering partner of BioPak since introducing them to South Australia over 5 years ago after recognising the synergy that they had with us, and our philosophy regarding sustainability. Know more about compostable packaging by calling us today at (08) 8398 2872, or emailing us at sales@pak-rite.com.au.